If you haven't already, sign up for a free account and try it out. Create a feed and add this hashtag as a Source to your feed. Learn more about how to add a source. Sign up for a Large or Enterprise plan. Ideally you want your feed updating every 10 minutes, 5 minutes or 1 minute so that posts show up on the wall pretty soon after they are posted to the social sites. 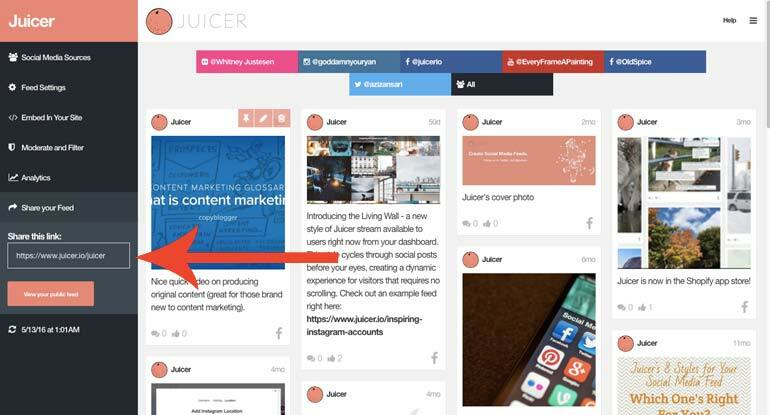 Turn on "auto-refresh for live events"...this is a setting in your dashboard feed settings that will make it so Juicer will automatically pull in new posts as they come in, without having to refresh. 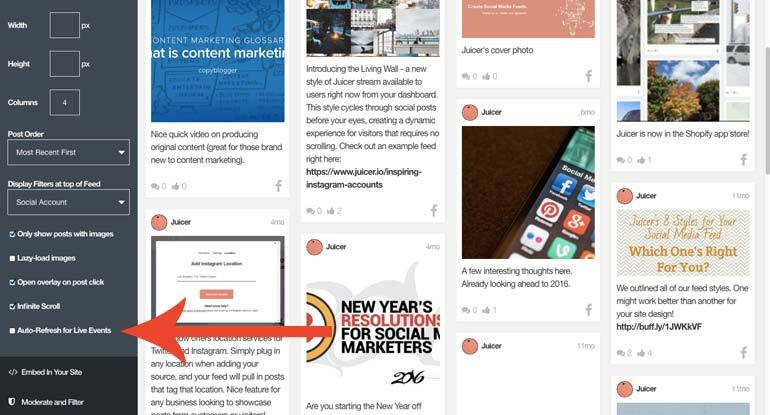 Get the URL for your public feed page. Display your feed on a projector or TV. Generally the easiest way is to mirror your public feed page, in your case. We recommend either connecting a computer to this display directly and mirroring this page on the display, or by using a device like the Chromecast or Amazon Fire. Make sure you test before your event. The best way to do this is to open one tab with your public feed page, then using your phone, post to one of your social accounts (for example, tweet on Twitter with your hashtag). Then, without refreshing the page, the tweet should appear on your wall within the time designated by your update frequency. Of course, if you have any questions or issues, please contact us.